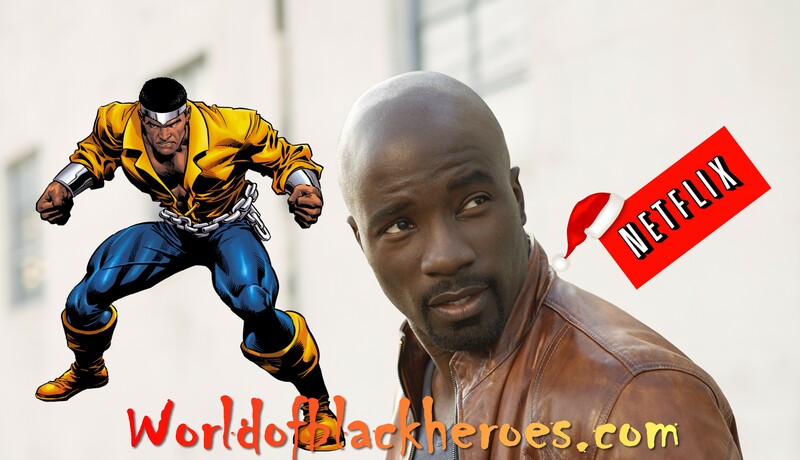 This just in Marvel has cast actor Mike Colter as Luke Cage in their upcoming netflix series “AKA Jessica Jones”. according to the hollywood reporter Mike will appear as Luke here first before going on to appear in his own series. According to Executive Producer/Showrunner Melissa Rosenberg “Mike embodies the strength, edge and depth of Luke Cage,” “We’re excited to have him bring this iconic Marvel character to life.” “Fans have longed to see Luke Cage brought and in Mike we’ve found the perfect actor,” added Jeph Loeb, Executive Producer/Marvel’s Head of Television. Who is Mike Colter you may ask? Well he’s a relative unknown, who has appeared as a guest in TV series like “American Horror Story” and films such as “Men In Black 3” and “Salt.” I honestly don’t remember any of that though I remember Colter from the CW’s cancelled cult one season classic “Ringer” which starred Sarah Michelle Gellar as the twins Bridget Kelly and Siobhan Martin. In the series he proved to be a pretty competent actor. We here at World of Black Heroes wish Mike all the best as he joins J. August Richards from Agents of Shield as Deathlok and Chadwick Boseman as Black Panther in the rising ranks of Black Superheroes on TV and Film! Hmmmm I have to see the show when it comes out. because right now I don’t see him as Luck Cage.